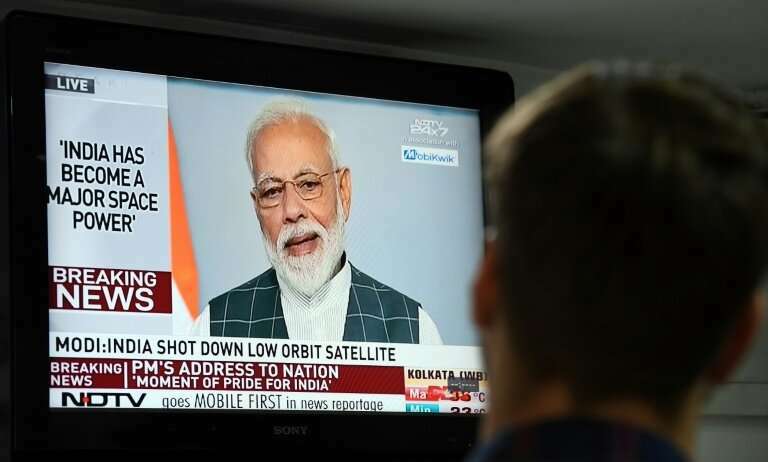 Talks to prevent an arms race in space took on new urgency with India's March 27 announcement that it destroyed a low-orbiting satellite with a missile. India's war-like actions are nevertheless in violation of UN General Assembly's December 2014 resolution "Prevention of an Arms Race in Outer Space," which calls on States, in particular those with major space capabilities, to contribute actively to the peaceful use of outer space, prevent an arms race there, and refrain from actions contrary to that objective." India therefore does deserve severe censure and probably also sanctions targeting their military-industrial complex and Modi's illiberal government. To probably misquote Clauswitz, war is the extension of diplomacy by other means. What we need to do is preclude nuclear weapons platforms in orbit with targets on the Earth, and this is going to be difficult in the extreme. This is perhaps a good thread to discuss the challenges on. Unfortunately I don't see either China or Russia having any reason to agree to this. It is unfortunate that India seems to have joined the metaphorical circular firing squad--where the participants are instead poised to toss grenades at each other.